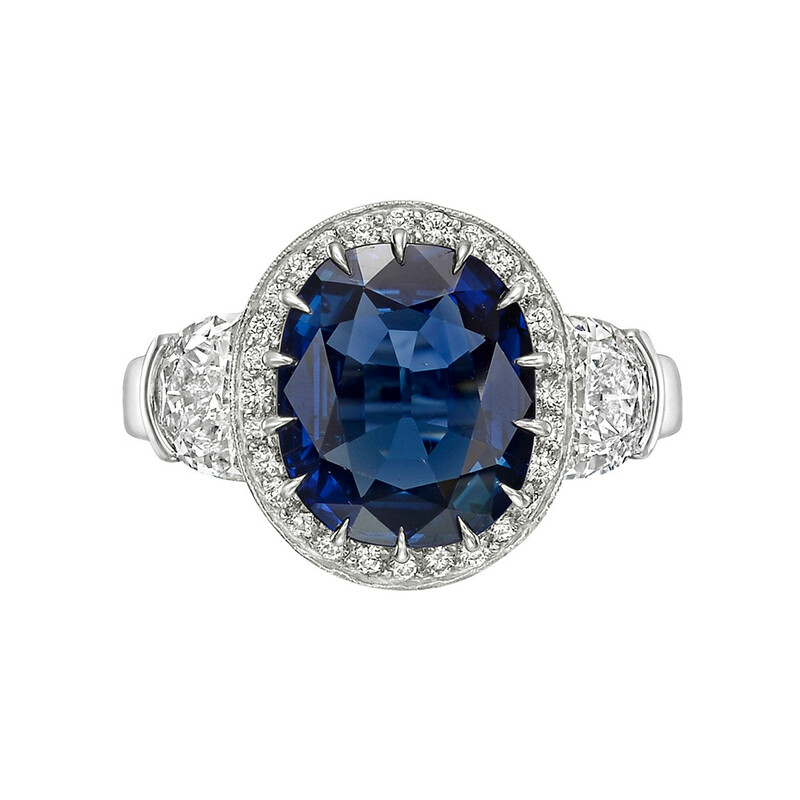 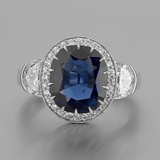 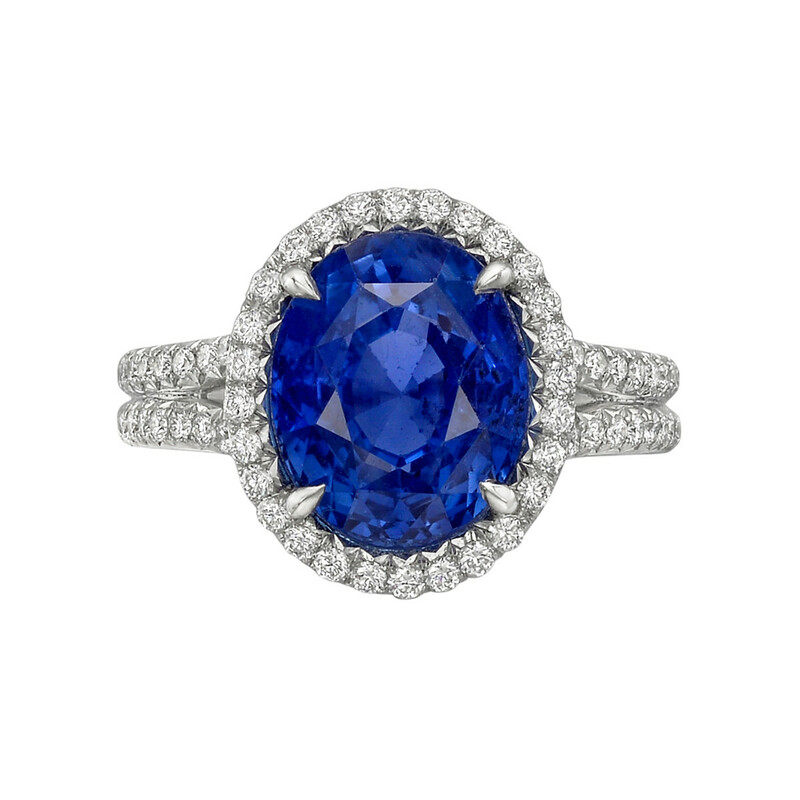 Sapphire and diamond ring, centering a natural no-heat cushion brilliant-cut sapphire weighing 5.23 carats flanked by two larger half moon-shaped diamonds weighing approximately 1.10 total carats with smaller round brilliant-cut diamond accents weighing approximately 0.70 total carats, in platinum. 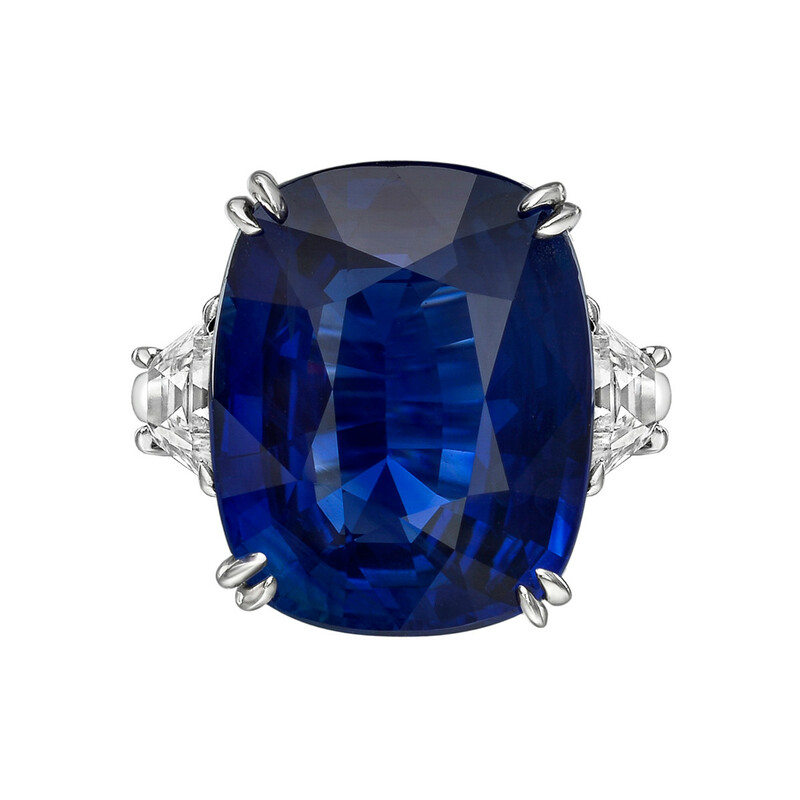 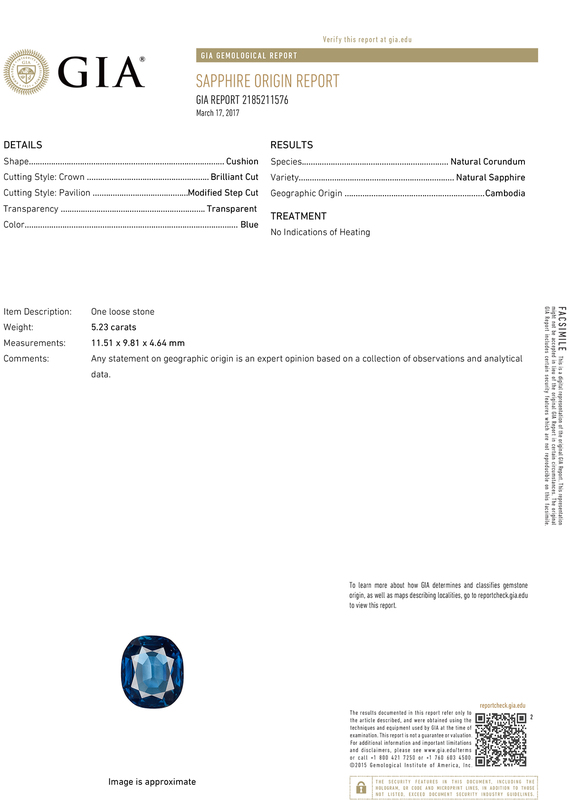 Accompanied by the GIA lab certificate for the sapphire, numbered 2185211576, stating it is natural with no indications of heat treating and from Cambodia. Size 8 (resizable to most ring sizes).